Did we mention that we’re going to Birmingham for our Festival Weekend? We caught up with Andy Wilson, a current student at Birmingham Conservatoire who gave us a bit of insight into what he is most looking forward to over the weekend. My name is Andrew Wilson and I’m currently on the Vocal and Operatic degree course at Birmingham Conservatoire. I’ve sung with various groups in the Northampton and Birmingham areas; at School, Birmingham Conservatoire and Birmingham University. When did you first get involved in the Voice Festival and in which cities have you been to with VF-UK? My first experience of the Voice Festival was watching my sister’s old a cappella group ‘HotTUBBS’ performing their Mcfly medley on youtube- I think it was from the 2012 Bristol Regional…?! The following year I took a start-up group from the Conservatoire to the Birmingham competition, winning the award for ‘Best Audience Engagement’. What’s the a cappella scene normally like in Birmingham? The a cappella scene in Birmingham is a strong one; being the country’s second city there is always performance opportunities going for those groups that look for them. 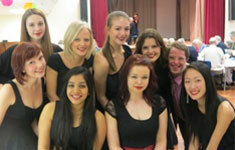 From local charity gigs to the annual Vale Festival, a cappella performance is never too far away. There are still 4 active groups at UoB, with perhaps the most previously well-known, ‘The Sons of Pitches’, having graduated just last year. Are you involved over the weekend? I’m looking forward to MCing both of the University semi-finals at the Voice Festival this year, as well as running a workshop, Groove: The Rhythm Section, with the Sons of Pitches beatboxer Mide Adenaike. 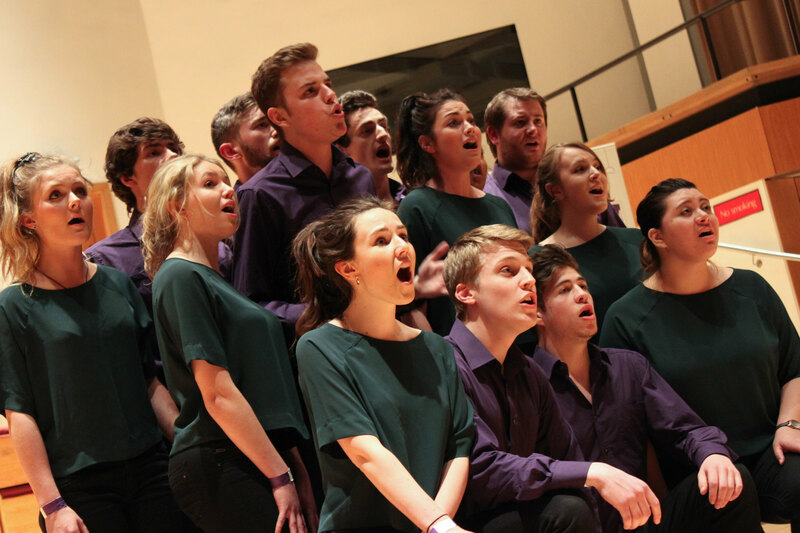 It is looking like a fantastic festival line-up, bringing in the best groups from up and down the country as well as some incredible workshops and masterclasses from top level professionals like Claire Wheeler (The Swingle Singers). I believe that particular masterclass is by sign-up only, so make sure to get your name down quick! What else should participants do when they’ve got a spare hour over the weekend in Birmingham? Of course there are plenty of pubs, bars, restaurants and the like on or around New Street. If anyone has any questions about the Conservatoire or surrounding areas over the weekend please don’t hesitate to ask- it was painstaking trying out all the local pubs… but I don’t mind sharing my research. Best of luck to all the groups competing, I hope you have a fantastic weekend.